Japanese Prime Minister Shinzo Abe and Russian President Vladimir Putin will meet today in Moscow to continue talks over the disputed Southern Kuril Islands. 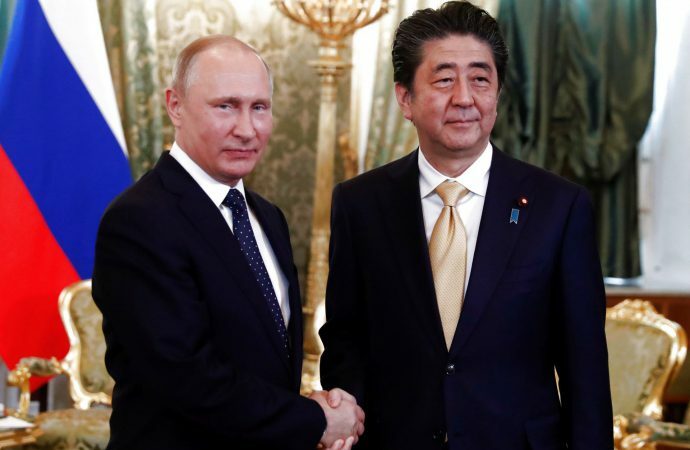 Negotiations over the Islands were revamped last September when Mr Putin unexpectedly proposed to the Japanese PM an offer to return to the negotiating table—cooperation between the two countries have been hindered by the ongoing standoff. The Japanese have made clear that the first issue to be resolved for a peace treaty to proceed is ownership of the islands. Japan argues the islands are Japanese territory. The traditional Russian stance on this matter is that the islands are actually Russian. In last week’s foreign minister’s summit, the Russian minister Sergei Lavrov proclaimed that the Kuril Islands are indisputably a World War II conquest of Russia “not subject to discussion”. Likewise, 74% of Russians completely oppose handing the islands over to Japan. Unless one side in the dispute cedes ground on control of the islands, there is no conceivable way the negotiations today will successfully resolve the dispute. The only possible exception to this would be an agreement dividing the islands between Japan and Russia, which in any case is unlikely given the all-or-nothing positions of both countries.